Ever been stabbed by a pencil? That little mark is probably here to stay. 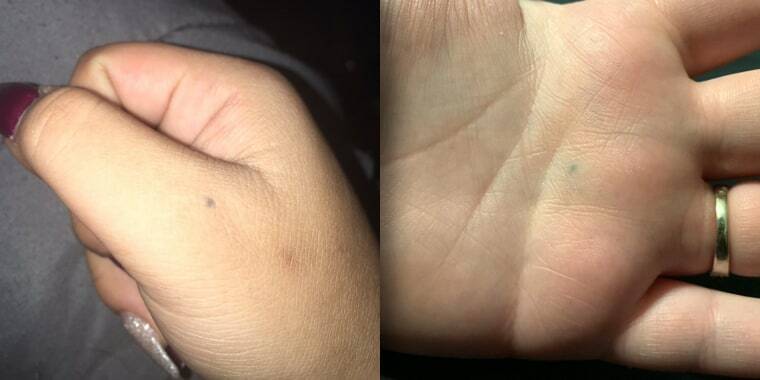 Have you ever been poked by a pencil and noticed that it left a mark? A surprising number of people are walking around with tiny, dark dots on their skin, evidence that at one point — even years ago, even as a kid — they were stabbed by a pencil. His tweet was flooded with thousands of responses from people sharing photos of their own pencil spots on their hands, legs and even faces. Many acquired these marks because of accidents in elementary school and still can't wash them off years later as adults. Pencils leave these marks when little bits of carbon or graphite get stuck within the dermis, the thick layer of skin that lies beneath our visible skin, the epidermis. Usually, this is harmless, but there are always precautions to take when the skin is punctured by any foreign body, dermatologist Dr. Cameron Rokhsar, founder of the New York Cosmetic, Skin & Laser Surgery Center, said. That said, if you’ve had a “pencil tattoo” for years with no adverse side effects, you are probably in the clear. If laser removal isn’t an option, Rokhsar says pencil tattoos do fade slowly over time, just like regular tattoos. It can take decades, though, something he knows from firsthand experience. So these tiny “pencil tattoos” are surprisingly common — and they often come with vivid (and painful-sounding) stories!